Melia Hotels International's luxury property has been causing a buzz on the C&I scene even before it opens in December, with Olympics sponsor BMW among corporates holding events there during the Games. 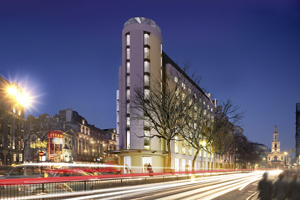 The hotel is on the site of the former Gaiety Theatre, Strand Music Hall and Marconi House near Trafalgar Square. Designed by Foster and Partners, its 157 rooms boast floor-to-ceiling windows with views of the Thames, London Eye and St Paul's Cathedral. It has two restaurants, a rooftop bar and 499m2 of meeting spaces for between ten and 300 delegates. 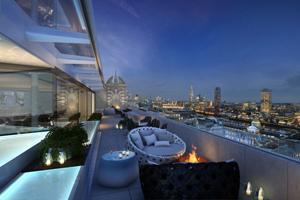 Restaurateur D&D London makes its hotel debut in September with South Place Hotel in the City. With Conran interiors and commissioned work by London artists, it promises an environment that is "as much about meet and eat as sleep". It will have 80 bedrooms, two restaurants, three bars, a rooftop terrace and a 'secret' garden. Taking inspiration from nearby former 1920s Soviet spy base, 49 Moorgate, the hotel's meeting and dining rooms are named after spies and secret agents, including Purdey and Steed, which can be combined to hold a reception for 150. The jewellery brand continued its hotel expansion in May, with an opening billed as London's first luxury new-build hotel in 40 years. The Knightsbridge property has 85 glamorous rooms, an 11-treatment-room spa, Italian restaurant and 47-seat screening room. Meeting spaces include two boardrooms, two private dining rooms and a ballroom with foyer for up to 140. Green initatives include an eco-friendly roof and sponsorship of electric car-charging points nearby. The former Regent Street restaurant - hangout for the likes of Oscar Wilde, Cary Grant, Elizabeth Taylor, Winston Churchill and Muhammad Ali - is being transformed into a luxury hotel, opening in October. Expect historic features blended with modern touches across the 159 rooms and suites. Facilities include several dining venues, a private members club, a spa, gym and 18m pool. For events, the five meeting rooms range from 58m2 to 160m2. 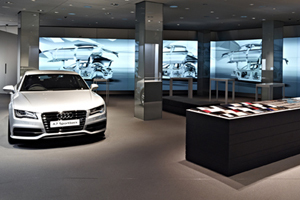 Audi's new evening events space opened in Piccadilly in July. A digital showroom by day, its minimal branding means it can transform into an 840m2 space for seated dinners, cocktail receptions or product launches. AV highlights include four ceiling-high powerwalls with 54m2 screens. The space also includes two meeting spaces with multimedia walls for video conferencing and presentations, and capacity for ten and 20 delegates. Catering is provided through Rhubarb.